2012-13: Appeared in 58 games, starting two, averaging 5.1 points and 1.1 assists in 11.3 minutes … shot .469 (113-241) from the fl oor, .400 (52-130) from three-point territory and .842 (16-19) from the foul line … scored in double fi gures nine times … led the team in points once, assists twice and steals twice … recorded a season-high 23 points (9-16 FG, 5-8 3FG), tying a career-high 5 threepointers in 22:25 minutes at Golden State on 4/15 … fi nished with 18 points (8-9 FG, 2-3 3FG) and 3 assists in 21:05 minutes at Sacramento on 11/9 … posted 8 points and a season-high 6 assists in 24:24 minutes at Minnesota on 3/12 … registered 8 points and a season-high 5 rebounds in 20:33 minutes at Washington on 11/26 … recorded 15 points with a career-high 5 three-pointers at Denver on 12/18 … posted 16 points (5-11 FG, 1-4 3FG, 5-5 FT) in 22:33 minutes at Phoenix in 2/24 … tallied 12 points and 3 rebounds vs. Houston on 12/7 … fi nished with 13 points at Charlotte on 12/8 … tallied 12 points vs. Sacramento on 3/1 … posted 13 points vs. Chicago on 3/6 … registered 22 DNP’S … placed on the inactive list for two games … saw action in nine playoff games … totalled 12 points, 3 rebounds and 2 assists in 32 minutes of action … registered eight DNP-CD’s … missed the fi nal four games of the NBA Finals with an abscess removal on his right foot. 2011-12: Appeared in 16 games, starting three games, averaging 10.3 points, 2.4 assists and 1.8 rebounds in 16.3 minutes ... shot .485 (63-130) from the field, .429 (24-56) from three-point range and a perfect 15-of-15 from the foul line ... scored in double figures four times, including 20-or-more twice and 30-or-more once ... dished out 10-or-more assists once ... recorded one double-double ... led the team in scoring three times, assists once and steals once ... posted a career-high 34 points (14-25 FG, 4-10 3FG, 2-2 FT) and career-high 12 assists at Golden State on 4/26 ... finished with 27 points and 5 assists at Phoenix on 4/25 ... tallied 20 points (8-11 FG, 4-5 3FG, 2-2 FT), 2 rebounds and 2 assists at Cleveland on 4/3 ... finished with 14 points, 4 assists and 2 steals in his home debut vs. New Orleans on 4/6 ... registered three DNP – CD’s ... on 4/6 ... registered three DNP – CD’s ... appeared in eight playoff games, averaging 1.9 points in 3.9 minutes ... scored 9 points vs. Utah on 5/2. 2010-11: Played in 64 contests for the Trail Blazers, averaging 5.5 points and 1.7 assists in 12.2 minutes ... shot .412 (135-328) from the field, .353 (47-133) from three-point range and .766 (36-47) from the foul line ... scored in double figures 10 times ... posted what was career-best 23 points on 4/13 at Golden State ... tallied 14 points (6-8 FG, 2-2 FT) in 14 minutes on 3/2 at Sacramento ... scored 13 points on 1/9 vs. Miami, 11 of them coming in the fourth quarter ... registerd 14 points on 1/5 at Houston ... posted 14 points and a career-high 5 steals on 1/2 vs. Houston ... tallied 12 points on 12/18 vs. Golden State ... appeared in two first round playoff games totaling one rebound in five minutes of action. 2009-10: Appeared in 10 with the Trail Blazers, averaging 2.6 points in 3.8 minutes ... scored a career- best 11 points 4/14 vs. Golden State ... in five games with D-League’s Idaho Stampede, averaged 25.6 points and 5.4 assists, scoring 20-plus points four times ... posted 38 point (13-25 FG, 7-10 3-PT) and 12 assists at Reno in his first game with Idaho on 1/1 ... posted averages of 2.0 points, 1.0 assist and 4.0 minutes in three games in the first round of the playoffs. 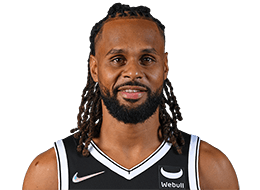 Selected by the Trail Blazers in the second round (55th overall pick) of the 2009 NBA Draft ... signed by the Spurs (3/27/12) ... re-signed by San Antonio (7/13/12). Played two seasons at St. Mary’s College ... earned First Team All-West Coast honors as a freshman and sophomore ... averaged 18.4 points, 3.9 assists, 2.4 rebounds and 2.2 steals in 32.1 minutes as a sophomore ... was named WCC Player of the Week twice (Nov. 24 and Dec. 8) ... was named the WCC Newcomer of the Year in 2008 ... started all 32 games for the Gaels as a freshman, posting a team-high 14.8 points, 2.1 rebounds, 3.5 assists and 1.8 steals in 32.1 minutes ... set a Saint Mary’s freshman record for points in a season with 472 ... was a three-time WCC Player of the Week Selection (Nov. 16, Dec. 24 and Feb. 19) ... set the school freshman mark for points in a game with a 37-point performance vs. Oregon. Uncle, Danny Morseay, is an NBL Hall of Fame member and played for the Australian National Team in the 1980 and 1984 Olympics … named the “most promising new sports talent” at the 2006 Deadlys Awards, which honor Aboriginal and Torres Straight Islanders achievements in sports, music, entertainment and community.